A civil society organisation, Africa Network for Environment and Economic Justice (ANEEJ) has urged the Federal Government to tackle Niger Delta problems like the anti-insurgency fight in the northeast. The Executive Director of the group, David Ugolor, made the call yesterday in Port Harcourt. He spoke at a validation workshop on independent civil society organisation’s on institutions and projects in the Niger Delta. According to him, the anti-insurgents’ fight has shifted Federal Government’s attention away from the challenges in the region. Ugolor appealed to the international communities and the Federal Government not to abandon the region. He cautioned that focusing attention in the northeast to the neglect of the Niger Delta would create an imbalance in the system. He said: “Equal attention should be given to both regions to allow the international communities and the donor agencies to balance support in the region. 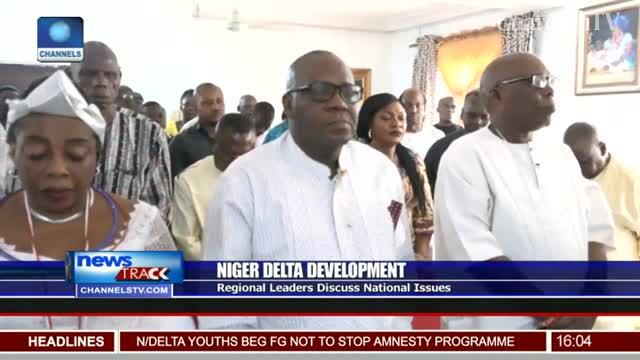 He urged the Federal Government to increase the funding of existing institutions like the Niger Delta Development Commission, (NDDC), the Ministry of the Niger Delta to tackle the region’s problems. Ugolor also tasked Vice President Yemi Osibanjo to implement his promise to strengthen the various institutions. “When the vice president visited the region and noticed the tension, he had assured that the Federal Government would strengthen these institutions to avoid the conflict,” he said. The Leadership Initiative for Transformation and Empowerment, (LITE Africa), also expressed concern over 63 projects abandoned by the NDDC in the area. However, a Director, Special Duties, at the office of the NDDC Managing Director, Dr. Princewill Ekanem, as well as the Director Special Duties, promised to transmit the report to the appropriate quarters for due actions.